"To act means to choose one mode of action out of all possible alternatives." Economics is a little-understood branch of knowledge, and despite its ongoing relevance to our everyday lives, it is still regarded as a subject that must be left to specialists. Modern man could scarcely make a greater error. The present bust of our most recent worldwide business cycle provides us with a great exposition of the dangers of leaving out analysis according to simple economic laws, in favor of analysis according to highly abstracted models. Indeed the great delight one may find, and this is a feeling I hope I am able to convey, is that economics should really tell you what you "already know." Phillip Wicksteed, a great economist in his own right, named his 1910 book The Common Sense of Political Economy. I feel it is worth mentioning how I gained any of this knowledge in the first place. I am not a student of economics. Indeed, the discipline which I am studying at the University of Birmingham is theoretical physics. I had an interest in economics at a younger age, mostly because I wondered why my country of birth and early childhood, India, was still underdeveloped after so many decades of independence from British rule. My search for explanations led me far and wide to come up with some, in retrospect, rather ridiculous assertions. For a period of time, I even thought that our loss of wealth had something to do with the Queen taking our jewels for her crown! It was not until I read India Unbound by Gurcharan Das one week when I was about 17, that I truly gained an appreciation of the impact free markets could have on developing countries. The experience was life changing, and India Unbound remains today one of only a few books that I can say had a significant impact on my worldview and direction in life. During the decades following independence, many businessmen, small and big, made the dark joke that once we were free from the British Raj, our country was captured by the new "Licence Raj," that strangulated investment, development, and private enterprise in India. When we complain about corruption, we must realise that it is simply a result of the perverse incentives created by draconian laws imposed on entrepreneurs and already-existing businesses. Indeed, it may sound strange for the reader to hear this, but as long as these laws exist, we should actually hope for more dishonesty and competition in corruption between public servants, not less! This competition between bureaucrats could lower the price of bribes, improve the quality of service provided in navigating restrictions, and allow for the smoother functioning of business in the midst of India's strong regulatory atmosphere. However, my views today actually differ from Mr. Das's, although I greatly respect him as a writer and intellectual. His book was a stepping stone to my current position. To cut a long story short, I was following the US presidential campaign in late 2007, when I came across an obscure Republican politician by the name of Ron Paul. Watching the Republican debates, I was dumbfounded. It was the first time I had heard a politician, of all people, make perfect sense. After viewing and searching for several more clips of Dr. Paul, I came across what is known as the Austrian School of economics. Within this school I found there were various significant historical figures, like Ludwig von Mises and his Nobel Prize–winning follower, F. A. Hayek. 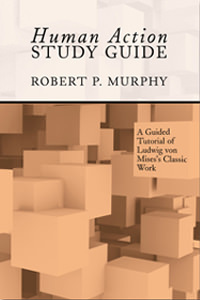 I also found some great resources, especially Mises.org. I then had the honour of studying this subject in the summer of 2009 with some of the world's leading scholars in the field. The experience I had with my week in the "Mises University" program this year was by far the most stimulating of my life. So how did I myself join the ranks of these "Austrian" economists? The path I took is not a straight-forward one, and it involved a long period of wrestling and trying to reconcile the statements and theorems of a certain book. That book was Human Action. It greatly offended and challenged my philosophical presuppositions, and it was a long time before I finally came into agreement, now wholeheartedly, with its author: Ludwig von Mises. Before reading Mises, I must confess that I was pretty much a run-of-the-mill positivist, though at the time I did not appreciate the full meaning of the term, nor recognise that I was one. From my state of knowledge, I felt that positivist statements about science were so obvious that only a fool would challenge them. Thankfully, such a "fool," called Mises, rose up. He challenged the statements of these philosophers whose views have become so widespread in scientific discourse that many who are unfamiliar with philosophy take their doctrine as the only valid criterion for science. I will not enter into a full refutation of positivism here, but instead will simply highlight Mises's case for a method in the social sciences. 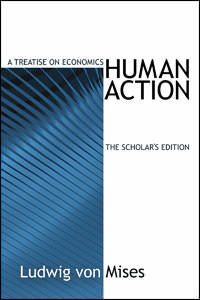 In Human Action, Mises identifies a methodological dichotomy between the social and the natural sciences. This dichotomy is in how we use teleology and causality to explain different kinds of events. These two terms are best explained by use of examples. When we throw a ball, for instance, we do not reason that it is guided in a teleological way by some mystical spirit or "prime mover." Instead we use the laws of mechanics and causality to examine the position, velocity, and forces acting on the ball, in order to predict the future position and velocity of the ball. In the inverse, one does not reason that there is some sort of direct, causal relation between traffic lights turning green, and bodies beginning to cross the road. These are individuals acting with purpose crossing the road, who, only when the lights turn green, reason that it is safe to cross and then proceed to do so. The reckless individual who is late for work may rush across the road regardless of what the traffic lights show. It is this insight — that humans act purposefully, or teleologically — from which Mises deduces his entire system of economics. To act means to aim at achieving an end via a means. To act means to choose one mode of action out of all possible alternatives. Therefore, acting is a demonstration of preference. Of course, a person may make errors in his judgement, after which he realises that the state of affairs produced by acting in one way actually satisfies him less than some unrealised alternative would have. This framework of action is amazingly general and can be used to explain all kinds of actions, even those normally considered outside the realm of "economics." Indeed the monk who shuns material riches and gives food to another man does so because he values feeding this man more highly than he does feeding himself. It is this type of subjective analysis that forms the root of good economic inquiry. "The consumer and his valuations lies at the root of all economic considerations." A classic example of the application of subjectivism can be produced if we want to work out the value of a factor of production, for example, land. For instance, when asked why champagne is so expensive, the classical economists would have said that the businessman has to pay so much for the land in the Champagne region of France that he must subsequently charge a high price for the product he produces from it. Yet, if people begin to dislike or distrust champagne, perhaps because they feel it causes them ill health, they will begin to value and demand it less with regard to other goods; hence the market price will have to drop. Subsequently, the fall in the price of the product will "impute" backwards to the price of the land on which it was produced. Hence we would see a drop in the price of land in Champagne. Thus we see that the consumer and his valuations lies at the root of all economic considerations. It is because we, as consumers, value products for the subjectively defined ends we feel they help us achieve, that they have any value on the market at all. Although this may seem obvious to the reader — telling you what you "already know" — it relies on one seeing more than what is immediate to the eye. In essence, perhaps the most elusive entity in the entirety of economics is the market, the very concept at the heart of economic investigations. "How does Paris get fed?" asked Bastiat. The assumption first undertaken in how one could get man to cooperate with man was that authoritarian interference is required to have every specialist serve his fellow citizen. The shock that economists experienced in their investigations was that the truly anarchic state of society known as the "free market" nevertheless allowed for the coordination of production among different individuals pursuing their own self-interests. It is this market that truly fed Paris. It pursued innovations and supplied consumers better than the orders of a centralised government ever could. We can see the effects of government interference in the world around us if only we open our eyes. At each instance, government decouples the motion of the entrepreneur from the orders and demands made by the consumer. The decoupling of consumer time preference from the production ratio of consumer and investment goods, which was brought about by the central bank lowering interest rates, produced an investment boom. In this boom, businesses wasted resources and money on goods that, ultimately, were not desired by consumers. This was followed, inevitably, by the current recession. The lesson ultimately learned, although it is no doubt depressing for those who would like to control the lives of others, is that it is better to not interfere with the functioning of the market economy. We should simply allow others to pursue their own ends through voluntary contractual relations. As Mises notes in Human Action, "Observe the functioning of the market system … and you will discover in it … the finger of God."